The GoPro HERO5 Black and HERO5 Session look very different, but there are also important differences under the hood. Here's a detailed comparison. 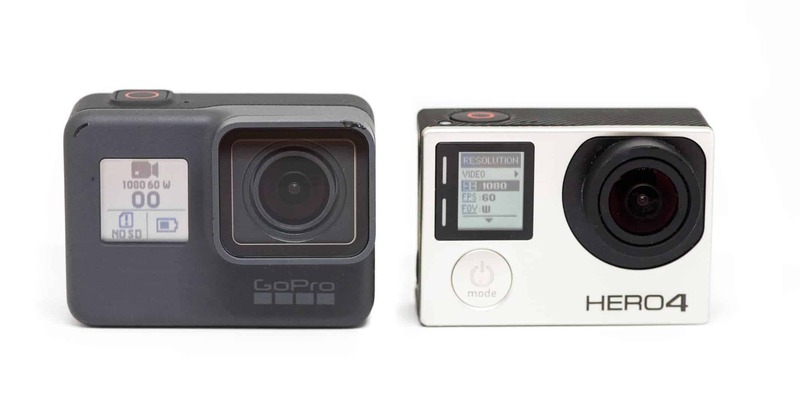 There are three cameras in GoPro's current range: the top-level HERO5 Black, the mid-range HERO5 Session, and the entry-level HERO Session. I'm focusing here on the first two. GoPro is currently running a deal for the HERO7 Black and Fusion cameras where you get $100 off by trading in any old GoPro or other digital camera in any condition, whether it's working or not. GoPro covers the cost of shipping your old camera in as well as 2-day shipping with the new camera. The deal is only available at GoPro.com. The first thing you notice is the difference in shape and size. The HERO5 Black looks more like the traditional GoPro shape. 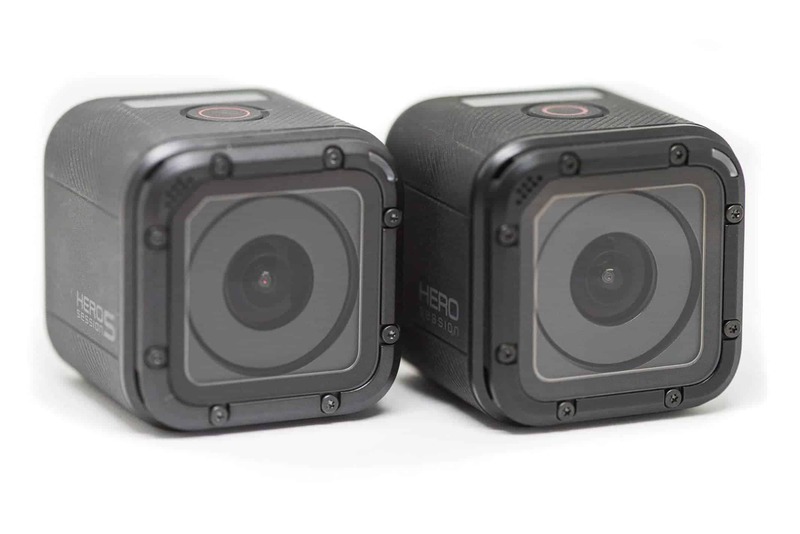 The other two are compact cubes (well, almost cubes) that continue the design first introduced in the HERO4 Session. These two cameras share many of the new headline features: 4K video, in-camera video stabilization, and voice controls. But there are also important differences beyond their shape and size. So if you're trying to choose between them, here's a detailed breakdown of their similarities and differences. Note that the HERO5 Session is different from the HERO Session. Overall, the HERO5 Session has more features and comes at a higher price point. The HERO5 Black has a removable battery. The battery in the HERO5 Session is hardwired in and isn't removable. So you can't swap it out for a freshly charged one or replace it when it has finally exhausted its recharging cycle limit. To check out how the battery life compared, I put a HERO5 Black and a HERO5 Session side-by-side to record non-stop 1080p60 footage (with Protune and stabilization turned off). They were in the same conditions and the same scene. The Black ran for 1 hr 47 mins, while the Session ran for 1 hr 53 mins. So they were essentially the same, although if one were to have a slight edge, I would have expected it to be the Black. Of course, this is hardly a definitive lab test, and there are some reasons your mileage might vary, including different settings, different memory cards, the health of the battery, and even the environmental temperature (lithium batteries don't work well in very cold temperatures). Both cameras charge via a USB-C cable. Neither comes with an AC adapter, but most standard USB chargers will work, as will external batteries. You can also run both of them from an external power source, such as an external battery pack or AC, while filming, although doing so means that the camera won't be waterproof. To access the ports to plug in the cable means that the small cover doors over the ports have to stay open. I have a more detailed post on charging the HERO5 cameras here. The difference in shape and size is obvious when you look at them. The HERO5 Session is a much more compact package overall, so it's well-suited to mounting in tight spots, in places where discretion is important, and in places where the reduced surface area might be a factor for resistance against high-speed winds. And, of course, it's just that little bit easier to throw in your pocket. Weight. In short, while neither is what you'd call heavy, the HERO5 Session is much lighter. These measurements are taken without the Frame mounts. Both are with a memory card. In the Black's case, it's with the battery installed (the battery is hardwired in the HERO5 Session. HERO5 Session: 1.49 in (37.9mm) wide, 1.49 in (37.9mm) tall, and 1.42 in (36.1mm) deep. 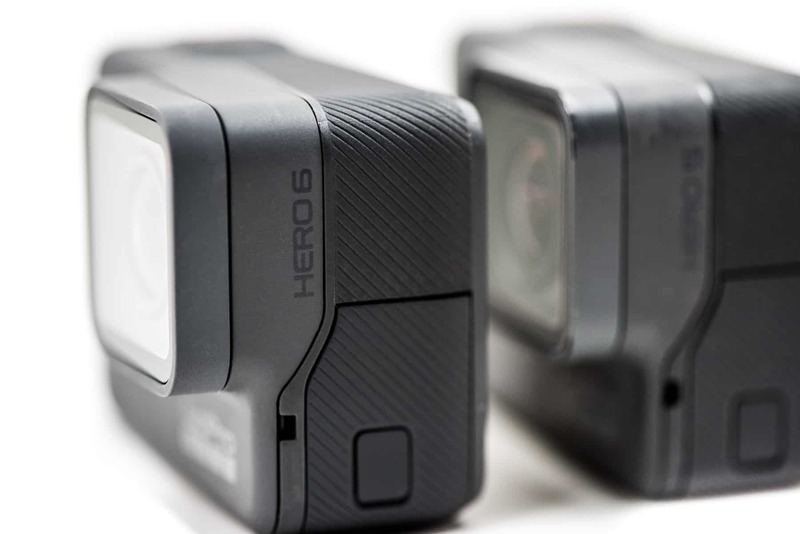 HERO5 Black: 2.4in (61.7mm) wide, 1.7in (44.4mm) tall, and 0.9in (24mm) deep. The lens port protrudes a little from the body, and the depth of that portion with the lens port is 1.3in (32.3mm). Starting with the HERO4 Session, GoPro started incorporating waterproofing into the camera's case in quite a different way than earlier models had. Both of these new models continue that new method. The upshot is that both of these cameras are waterproof on their own without a housing. They're rated to withstand the pressure without leaking down to 33 feet (10 metres). If you want to go deeper than that, or want to add extra protection, you can pick up a dive housing separately. Dispensing with the separate housing has both advantages and disadvantages. An upside is that the whole package can be smaller. A downside is that there's no longer a first line of defense against damage, and the new method doesn't offer the same level of waterproofing protection of the old Standard Housing. If you damage the lens port or the trap-doors you can replace those, but cracking the case or the screen might mean having to replace the camera rather than just a housing. 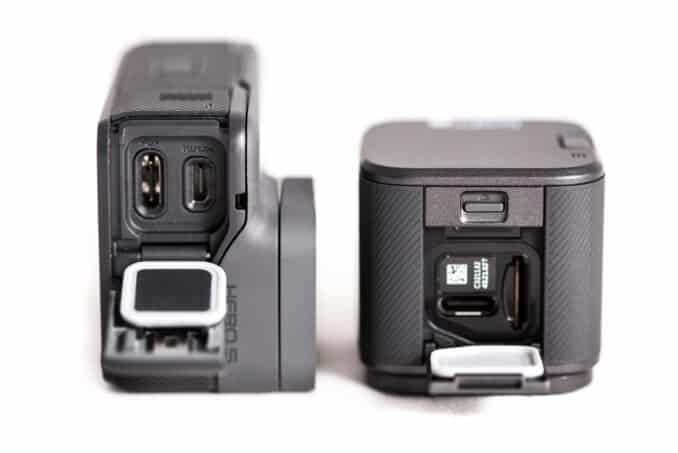 You also still have to be able to access inside some parts of the camera, whether to insert a memory card, replace a battery (for the HERO5 Black), or connect cables. That means that you need some kind of removable cover. 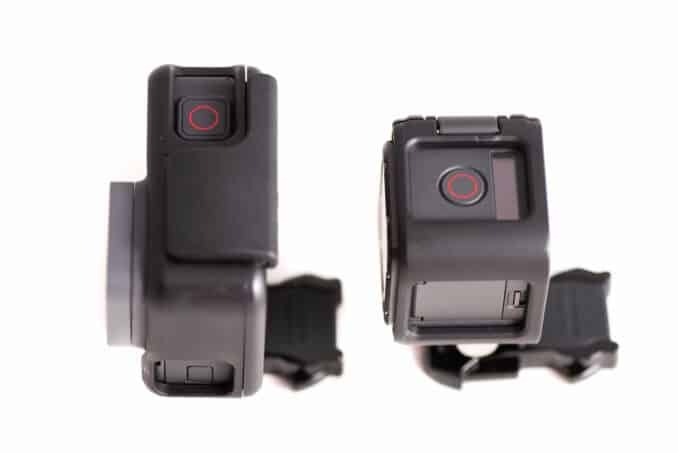 Both of these models use a detachable trap-door with a built-in seal; the Black has two of them, while the HERO5 Session has one. While there's a slight variation in the latch between the two models, in both cases the doors are quite flimsy, and it's possible for grit to prevent a proper seal. In short, the doors form a potential weak link, but it's one both cameras share. Something to be aware of is that by themselves neither camera has a mounting point. So if you want to mount it, you'll need at least a Frame mount that provides the distinctive GoPro attachment system. Both cameras come with a wrap-around Frame. It provides that mounting point but doesn't offer much in the way of protection. One of the biggest practical differences between these two cameras is how you interact with them. There are some similarities. Both offer the new voice activation system which lets you use basic voice commands like starting and stopping recording, taking photos, or changing modes. 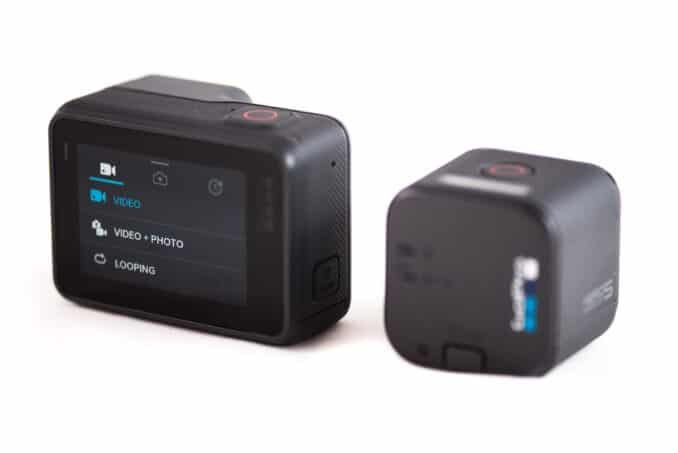 Both can be controlled with the GoPro mobile app, now renamed Capture. And both will work with the Smart Remote and the new Remo voice remote. But the controls on the cameras themselves are very different. The Black has three buttons, a small monochrome LCD screen on the front, and a large, color LCD on the back. You can control the camera and change settings with the buttons and the small screen on the front. And you can use the back screen, which has touch control, to move through all of the cameras options and settings. With the HERO5 Session, you have two buttons as well as a much smaller monochrome LCD screen. It's designed for simplicity, and if you tend to shoot with the same settings most of the time—and especially if you use the QuickCapture mode—it can work well. If you find yourself changing settings or shooting modes often, it can get tedious quickly. It's the same setup as the HERO4 Session, and having used that for quite some time and now using the HERO5 Session as well, it's not my favorite way of controlling the camera. It works, but it's slow, and not all the settings are available this way. The Black has one; the HERO5 Session doesn't. It's a bright, clear screen that helps with framing the shot, playing back footage or viewing photos, and changing settings. And it's a touchscreen, so you navigate by tapping and swiping rather than having to the use the buttons. It's a significant improvement over the one on the HERO4 Silver. It does several things, but I like it most as a way to the see what you're shooting and compose the shot. You can also do that through the Capture mobile app, which works with both cameras, but the on-board screen provides a much quicker and simpler way on the camera itself. With the HERO5 Session you either point and hope or connect the Capture app. A catch is that without a protective housing the screen becomes more vulnerable. I'm not aware of any way to replace just the screen if you crack it--it most likely means a new camera. Overall, they offer broadly similar video options, although the Black has more options and offers more flexibility than the HERO5 Session. Video Stabilization. 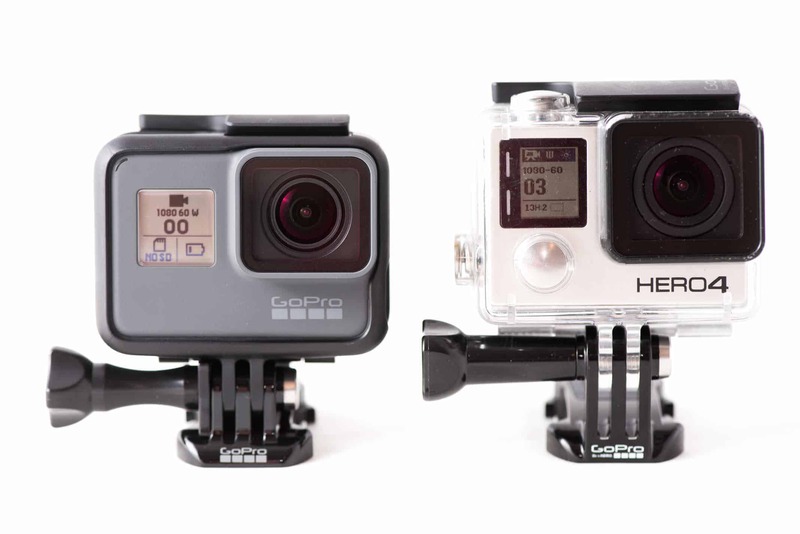 Both have the new in-camera video stabilization, which GoPro calls EIS. It can work reasonably well in many situations to create smoother footage by minimizes vibration and jitter. It's not perfect, and being a software solution it's not as effective as a good gyro gimbal, but I suspect it will be a popular feature for many people. I've put together some side-by-side examples of it here so you can see exactly what kind of effect it has. Resolution. Both of these cameras have 4K video at 30 fps as their top-end mode. Below that size they offer mostly identical resolutions with the exception of the smallest 480p mode that isn't available on the HERO5 Session. Not every FPS and FOV setting is shared for every resolution. Video Modes. When it comes to the combination of resolution, framerate, and field of view, these two cameras have many video modes that overlap. But the HERO5 Black has quite a few more options, especially in the high frame-rate modes. There's a handful of modes that the HERO5 Session has that the Black doesn't, but they don't really offer anything extra—they're mostly toned down compromises of what's on the Black. Protune. Both offer Protune options for video, although they don't have all of the same options. For several of the settings, the Black offers more options. A notable Protune option that the Black has that the HERO5 Session doesn't is the ability to record a separate high-quality audio track (more on that below). It also unlocks significantly higher ISO ratings, although the image quality deteriorates the higher you go. Tip: If you hold the shutter down in the single photo mode, it will keep taking photos at 5 frames per second until you release the shutter. Night Mode. Both have night mode, which allows for longer shutter speeds to let more light in. It also risks getting blurry photos if your camera isn't still. Protune. Both cameras have Protune options for photos, although they're not all exactly the same. In general, the Black has more options. Notably, it offers the ability the set both a maximum and minimum ISO, whereas the HERO5 Session only lets you set a maximum ISO. RAW File Format. Both cameras let you save images as standard JPG files. One of the new features on the HERO5 Black is the ability to save photos in a RAW file format. It uses the file extension GPR. The RAW format opens up the potential for better image quality, but the downside comes in terms of convenience in that you really need to add the step of processing them before sharing them. The HERO5 Session doesn't offer the RAW image format for still photos. HDR Photos. GoPro calls this WDR, for wide dynamic range, and it's designed to bring out more detail in the shadows and highlights. It's available on the Black but not on the HERO5 Session. Both models offer two methods for creating a timelapse. Timelapse Photo. This is the old-fashioned way of shooting a sequence of still images, downloading those images from the memory card, and stitching them together on your computer using a separate app like GoPro Studio. Like previous models, the available intervals in-camera (without using an external intervalometer) are 0.5, 1, 2, 5, 10, 30, and 60 seconds. This method gives you maximum flexibility and potentially much better image quality, but it also involves several more steps and time spent post-processing. Timelapse Video. The other method is to have the cameras compile the video on the fly to create a finished mp4 timelapse video. This saves a lot of extra steps and time, although you end up with less flexibility. It offers the same intervals as the timelapse photo method. Both can create timelapse videos at 4K, 2.7K4:3, and 1080p. Night Lapse Photo. Both have the Night Lapse Photo mode. This is a timelapse mode that provides extra interval and shutter speed options better suited to low-light shooting. One of the new additions with the HERO5 Black is the ability to record a high-quality audio track as a separate WAV file alongside your video recording, and you can choose among different quality settings. The HERO5 Session doesn't have that feature—the audio is standard audio embedded in the video file. Wireless. Both have wifi and Bluetooth for wireless connections. That means you can control them with a mobile device or one of GoPro's remotes. USB. Both use the new USB-C connection. That connection is used for charging, connecting external microphones, and data transfer (N.B. : for both it's limited to USB 2 speeds, not USB 3.0). HDMI. The Black has a micro-HDMI (Type D) connection for attaching the camera directly to a TV or display; the HERO5 Session doesn't. Both cameras take the same kind of microSD cards. And because they both have high-end video modes that record at 60 mb/s, you'll need a fast memory card that can keep up. 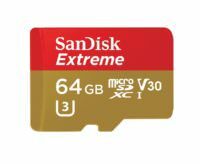 I have a separate post with more information on this along with some recommendations for the best SD cards for the HERO5 Black and HERO5 Session. The HERO5 Black includes the option of adding GPS location tags to the EXIF metadata of still images and video. That automatic geolocation function will be very useful to anyone trying to place the images on a map or sort by location. When activated, the GPS function does detract slightly from battery life. The HERO5 Session doesn't have GPS functionality. Which to Get? HERO5 Black or HERO5 Session? There's obviously no "right" answer to this. Both are good cameras. I have both and tend to reach more often for the Black, mainly because of the convenience of the screen and relative ease of changing settings. But the small size of the HERO5 Session makes it an excellent option when mounting the camera in tight places or things that are moving, like under a bike seat or on a car or on a surfboard--basically anywhere that smaller is better. Maximum Control Over Video Output: HERO5 Black. It simply has more options, giving you more control. It also has significantly better support for high framerate shooting. Recording Musical or Theatrical Performances: HERO5 Black. You can enable the option to create high-quality audio files alongside your video, offering much better audio quality. Size: HERO5 Session. It's, well, smaller. If you're mounting it in tight places or simply want to minimize what you're carrying around, it's an easy decision. Giving as a Gift: I get asked this quite a lot, and it's hard to give a one-size-fits-all answer. If price isn't an issue, the HERO5 Black is a better camera. But assuming price is a consideration, the HERO5 Session is well-suited to anyone who wants to put a camera on their skateboard or surfboard or just carry it around with them all the time. The Black is a better option for using more like a traditional camera for traveling and everyday shooting largely because of its built-in LCD screen. It's also worth throwing into the mix that there is also the entry-level HERO Session, which looks like the HERO Session but is cheaper and has fewer features. Price: Of course, price is naturally a consideration much of the time. The HERO5 Black has an MSRP of $399, while the HERO5 Session has an MSRP of $299. When GoPro launched the current range, they simplified the lineup and reduced the pricing compared to previous models. The HERO5 Black's MSRP is $399 (less than the $499 set for the HERO4 Black), and the HERO5 Session MSRP is $299. Both models are available at major retailers like Amazon and B&H Photo. Which GoPro HERO4 Accessories Will Work with the GoPro HERO6 Black and HERO5 Black? This review is wonderful! Allowed me to make a decision :-) . Just 1 question: Does it make a difference which replacement batteries I select? Thank you so much fir sharing you knowledge. Glad you found it useful! The GoPro-branded ones work, although they tend to be more expensive than some of the other options. But you get peace of mind that it works. Many of the less expensive third-party batteries also work well, but there was a situation a couple of years ago when GoPro issued a firmware update for the HERO5 Black that stopped any third party batteries from working. That has since been worked out, and the newer batteries from companies like Wasabi Power and Smatree (and others) work well. I have a much more detailed post on batteries for the HERO5 Black here. And I also have a more detailed post on the various charging methods for the HERO5s that might be of interest. This was a great article. Thank you for the detailed information. I am curious though, why are there so very many of these showing up as "certified refurbished". I got suckered into saving $50 by buying one from a vendor. It looked great until I looked at the first recording. The image had a huge black area in the center. My guess is it was exposed to bright light for a long time. As I look today there are no less than 20 vendors selling refurbs. It just makes me wonder if they are all returns due to defects. I don't have any inside information on those and haven't ever purchased one of the ones labeled certified refurbished so can't speak to it from personal experience. I know GoPro does have their own certified refurbished program--not sure if all the ones available are passing through GoPro or some other third parties, and I don't know why there are so many different vendors selling them. But I would assume/hope that it's still covered by warranty so you can exchange it for a working one. 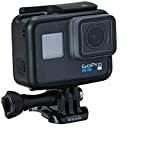 As products, GoPros probably do lend themselves to a higher than usual refurbished program because they come out with new models pretty regularly and many users upgrade. GoPro also sometimes has trade-in promotions that will inevitably build their collection of used cameras. One thing I didn't see mentioned is the EIS on both and in what modes (resolution/fps) it can be enabled. I have a hero 5 black and was contemplating getting a session to mount on an RC to record 1080p @60fps, but I wasn't sure if EIS is usable on the session at that setting. You can find the EIS-enabled video modes for the HERO5 Session in a chart on this page. Great review! Very comprehensive and easy to follow. The having the difference scenarios in the 'which one to get' section was fantastic! I think I will go the Black simply because of the screen and battery replacement. Thanks for the comprehensive overview, based on your summary I chose the Black. Many thanks for taking the time, I appreciate the effort. Glad it was useful, and enjoy the camera! I want to get one of these to record stuff on fun runs, urban races and obstacle course I do. I will obviously have it attached to my body in some way. You have given such a comprehensive review but I still don't know which would be better for the purpose I want it for. Both will handle that easily. 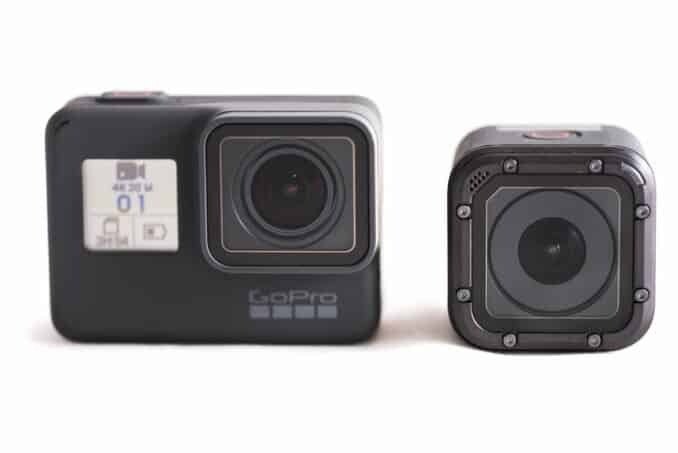 An advantage of the HERO5 Session in this case would be its size--it's significantly smaller (and therefore less prone to bumping and jiggling) than the Black. If the activities go longer than a couple of hours, though, the ability to swap out batteries in the Black will come in handy. So I'm trying to do makeup tutorials it will be inside, but in a brightly lit room, I'm trying to decide between the hero 5 session and the hero 5, the two you are talking about here, I want the quality to be really good so you can see all the details in the makeup, do you think the hero 5 has that much better of video quality ? Is the price difference worth it for this type of video? I would really appreciate your opinion, thank you! Unless you're planning on posting them at 4K, which isn't practical in a lot of instances, I doubt you'll find much difference in quality between these for that kind of use. A bigger issue might be that they both have a very wide-angle fisheye lens which isn't especially flattering when filming people up close. That's standard with GoPros and most action cams. To see the kinds of details you're talking about you'd need the camera to be very close indeed. Thanks for the great review. I still can't decide between the two. I'm planning a family trip to a big magical amusement park, and I'd like to "wear" the camera, presumably with the body harness contraption, to capture the whole adventure. Is the size difference big enough to make this set-up more comfortable with the Session, versus the Black? On that kind of use I don't think you'd find much difference in the size/weight. One specific feature I do find useful for family holidays is the back screen on the Black so that you can see what you're shooting, but you'll end up with some great footage/photos with either of them. Forgot to mention, the ability to swap out batteries is another handy feature of the Black when it comes to this kind of use. great review of the 2 cameras. Im in the same boat as a lot of people. Travelling through Italy, France, Greek islands next month - already have a great general use camera - so just looking for something small and handy to supplement. Both the hero 5 and session 5 fit this. I also cycle quite a bit and go Trail running. I dont mount my cameras but just pull them out when required, snap a few shots on the run and put away again. So compact is good. I was looking at the session 5 solely for this reason, but heard the 'still shots' it takes aren't the best ?? The ones I prefer for that kind of thing are the HERO5 Black and HERO4 Silver for two reasons: the built-in screen makes it much easier with stills images to make sure you're getting what you want to get in the frame, and the replaceable battery comes in very handy when you're traveling and don't always have time to charge or easy access to charging. I actually just ran into this issue yesterday. I was out and had both a HERO5 Session and HERO5 Black with me and was planning to shoot with both, but it turns out that I hadn't checked that they were charged before heading out the door. Since I had a spare battery on me, I could easily swap out the one in the Black but it was no go with the Session. 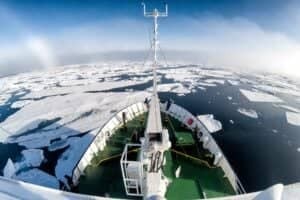 I have a more detailed post on using GoPros as regular cameras here. There's nothing wrong with using the HERO5 Session, as such, but there have been enough times that my photos haven't ended up composed as I want them to be that I much prefer the built-in screen. And yes, you can use the mobile app, but that's a pain when you're doing the kind of quick snap and run you're talking about. One thiing that keeps me torn between the two. I am planning to use it to record, dence choreographies, now the audio doesnt really matter for me, since it will be separately put into the video later, so for merely maximum quality video recording is the session enough? I would imagine you'd find the video quality with the HERO5 Session perfectly acceptable for that use. Something else you might want to consider, though, is the back screen, especially if you need to be able to keep dancers in the frame while they're moving around. You'll be guessing more with the HERO5 Session, whereas the HERO5 Black has the live-view screen built in. Hero 5 Session should be perfect for the use that you describe, so long as you opt to use the phone app to view and monitor the frame, as well as it being very handy for setting and adjusting Protools settings for lighting and so forth. Just be careful in considering other uses in the future. I purchased and use the Session version, but now wishing I had made the other choice, to have the options for more active footage uses, such as speed sensors, GPS, and also some of the extended options for white balance, framerates, etc. The real difference that made it a difficult choice for me were simply price, convenient size, and being able to carry the Session model comfortably in a pocket. Even if i had purchased the Black instead, I'd still opt to use the phone app to monitor the camera's view. I'm still torn between the two! I'm going to be on a Euro-road-trip this spring, i'm looking for a dash cam/action cam for cycling through tuscany, driving through the mountains of Austria and also just wearing VERY discreetly walking up the eiffel tower etc. My biggest concern is the battery life and so I'm swaying towards the Black for the option to change bateries, but I'm also looking for discretion and not drawing too much attention to myself as a traveller! Is the Session able to be charged whilst filming? For example a battery pack or plugged into the car? Yes, you can power both of them with external power while filming, although connecting either of them to external power does mean exposing the ports, which in turn means they're not waterproof while it's connected. Traditional USB power bricks work well, as do some slightly less traditional versions like this combination battery/grip. I usually travel with a small power bank like this or this; both fit comfortably in a pocket and they're handy for all devices like phones etc that also use the USB power standard. Neither model is really discrete, but for the use that you describe, it sounds like you may prefer the Black model. There may come a time in the future where you may want the added GPS options to chart your travels, sort photos and videos by location, or have compass, altitudes, or speed traveled information available. Those features are not available on the Session model. Both can be charged while using, and both can use any commonly available rechargeable USB battery pack, but I think many would prefer to have an extra battery or two, just because it's easier to handle than carrying around a camera connected to a battery pack, while filming. I use the sessions 4 for filming while plugged into the car for making travel videos. It is true that it exposes the ports to dust and/or moisture however a small plastic bag taped over the door appears to have solved that issue. You can record for as long as your card has space. Its not really necessary to access the camera directly at those times and the app works great. Hey! Does anybody know if it is possible to record 1080p at 90 frames per second while using video stabilization on the hero 5 session. Thanks. No, it's not available at 90fps. The fastest it will work on is 60fps. There is a small bug in the Capture mobile app where you can turn on stabilization at 60fps and then change fps to 90 and it looks like the stabilization stays on, but it's not actually going to work. For the Hero 5 Black, is this a new battery configuration or can I use the same battery from previous models? It's a new configuration, so the batteries from previous models won't work. Nor will third-party batteries--you have to stick with GoPro-branded ones. I have more details on it here. 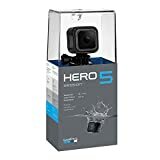 I have used the hero 3+ and 4black and was thinking of getting a hero5 black and hero5 session. As I fly a gyrocopter, I wanted to be sure that they both do video stabilisation at 4K? Oops - I just saw that you had already answered this in another section on stabilisation. Hi there! Thanks so much for your detailed review! 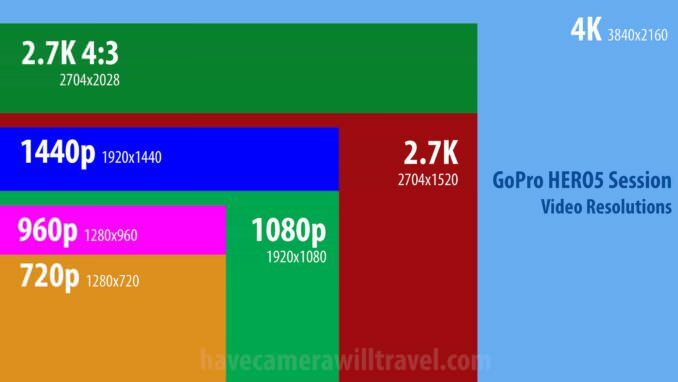 I have been doing a lot of research on the latest GoPro's, as I am nearing one of the most important travel's I will ever have! I'm sure there are other's who share my concerns and interests when it comes to such occasions. One thing that I have often been struggling to find in any review that I have come across so far is that how reviewers (including the company on their website itself) have failed to mention the amount of data, in terms of number of hours of video, that can be recorded in different capacities of storage cards. I have to point out that one of the reasons that this question may be basic or less nuanced is because I am new to the GoPro scene. however, I believe it would help. Let me put forward what I expect for my trip - it is a study tour - and our professor informed that we would be on the field, at different venues, at a minimum of 10 hours per day. our travel and field work will involve travel by locomotive transports, walking, trekking, and even swimming (as a part of our relaxation of course). Lectures and presentations would be presented on different sites, and when we are back on the bus, our classes are basically going to be on the bus! I have been on several travels, but this is going to be perhaps THE BIG ONE! So if GoPro is designed to "record the moment you experience", you can kind of get a picture of how many of those moments I am most probably going to experience. are there higher SD storage capacities? and will they work on the GoPro hero 5 black? how many 128 GB sd cards and batteries would I need, to have enough space to record for a day (minimum 12 hours)? so you can see that I am really going to see if the GoPro, given its upgrades, and limitations somewhat mitigated, can really deliver, and give a run for my money. Please let me know! I sincerely appreciate your time and efforts to help the public make a sound purchase! Actually, I have a post specifically addressing that. 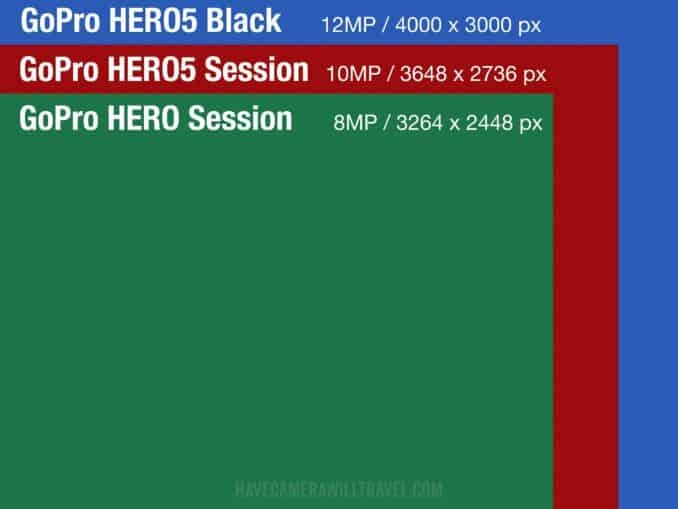 File sizes between HERO4 and HERO5 are basically the same in most cases. If you use the Protune audio options the extra WAV files will take up a bit more space. Fast 128GB, 200GB, and 256GB cards work just fine. You might also find this post useful on using a GoPro as an everyday camera. you wrote that both (Black and Session) are offering GPS data, are you sure that this is correct? GoPro themself isn't listing this as a Hero 5 Session feature. Thanks for the correction. You're right--no GPS on HERO5 Session. I've fixed above.